The most used public ferry boat service for excursions on Lake Maggiore and the Borromean Islands.We offer a tourist shuttle and water taxi service exclusively on the lake maggiore for individuals and groups national and international schools, travel agencies, meetings, incentives, weddings and any type of event that takes place on the islands and the resorts of Lake Maggiore. The transfer service offers the possibility to reach the desired time all the towns around Lake Maggiore without any constraint of time and avoid unnecessary queues.Times of transportation are at your complete discretion to ensure maximum flexibility and comfort during your boat trip. We offer 24 hour taxi service for any need. All our boats are guaranteed an efficient, timely and professional. You can find our speedboats at major access points to the city and organize your incentives and meetings. In addition, you can reach your hotel by asking for our taxi boat service operates 24 hours 24. And the ideal option for those who want to spend a few hours on the lake that characterizes our most beautiful places in total privacy, or visit one enjoying the scenery and stopping to admire the beauty of an area famous throughout the world. The highly professional team of multilingual and his fleet of boats will ensure a comfortable travel experience unique in its kind. They offer unique opportunities to know the wide range of tourist attractions, historical and cultural aspects of Lake Maggiore in Stresa, Arona, Verbania Pallanza, Beautiful Island, Fisherman Island and Mother island, the Villa Taranto, St. Catherine, Angera Brissago Islands, etc. , combining entertainment, culture, gastronomy and curiosity.Daily attention to the good operation of vessels and effort devoted to the reception and punctuality are designed to make you more pleasant and relaxing excursion.The organization Islands Lake Maggiore, always attentive to the needs of its customers, offering an exclusive VIP service appointment whereby the customer can choose the destination, times and theboat that best fits your needs.The VIP Service responds to the needs of those wishing to rent a boat for private parties, weddings,conferences, business meetings or simply for those who wish to admire the scenery of Lake Maggiore from a privileged point of view.To make more pleasant the stay of its guests in the service area of ? ?Lake Maggiore Lake Maggiore Islands offers many ancillary services.With the ferries and tourist shuttle water taxi Islands Lake Maggiore for example, you can book a multilingual tour guides for visits to the Borromeo Islands, overnight hotel, the reservation at local restaurants and the shuttle service to and from airports.Recall also that we ensure connections and transfer services with restaurants on the mainland and the islands, to bring you to taste wine and culinary specialties of our beautiful lake.The excursion services offered as well as allow you to visit the classic routes and then to admire the most cultural and environmental aspects of our environment, we also give the opportunity for recreation and entertainment, ranging from a hen / stag, for a birthday party or graduation, the most sought after treasure hunt.To make it even more comfortable and enjoyable journey on board we can put you at available an aperitif with snacks on board, to entertain and make it even more unique experience of sailing. Boats can be rent for trips and tours of the lake is better for few passengers or big.We booked an exclusive tour service through which customers can choose the route, times the path that best suits your needs with boat rental and charter boat hire. 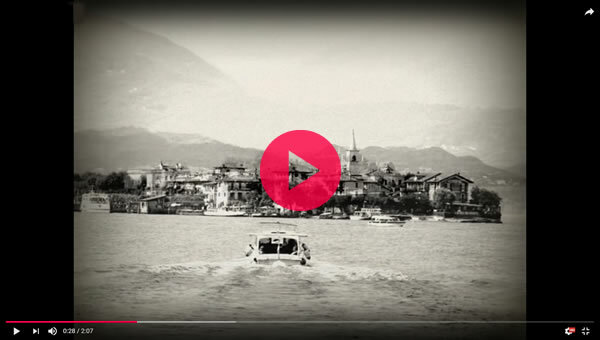 Transportation arrangements more about the places of the lake through modern and comfortable motorboats to the lake maggiroe accommodation, hotels, bed and breakfast, restaurants and historic residences. Aperitif on board during the cruise service on Lake Maggiore. Our boats offer a wonderful aperitiv and catering service during our cruise.